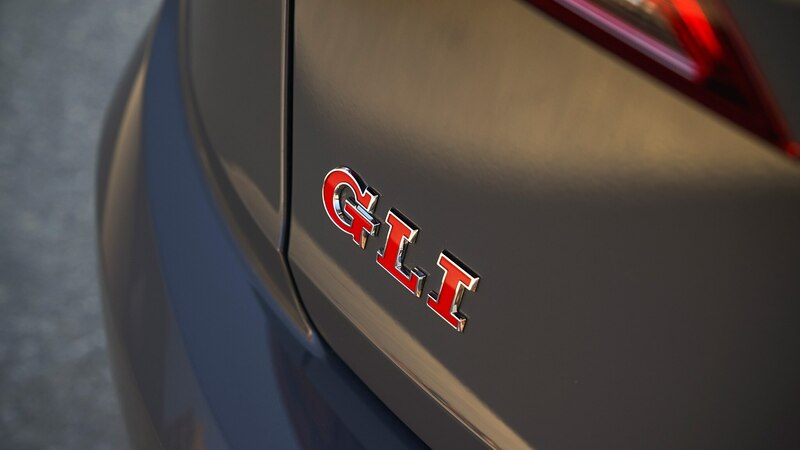 If the GLI truly once again is a GTI with a trunk, we’ll be happy campers. 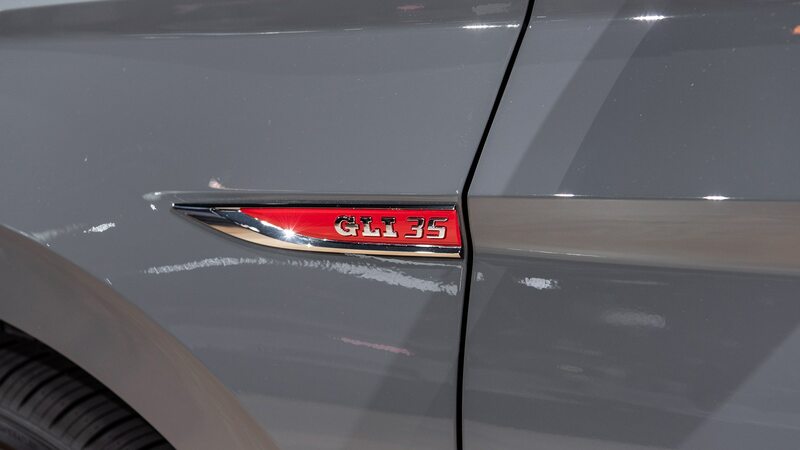 Sometimes it’s nice to be surprised; other times it’s not. 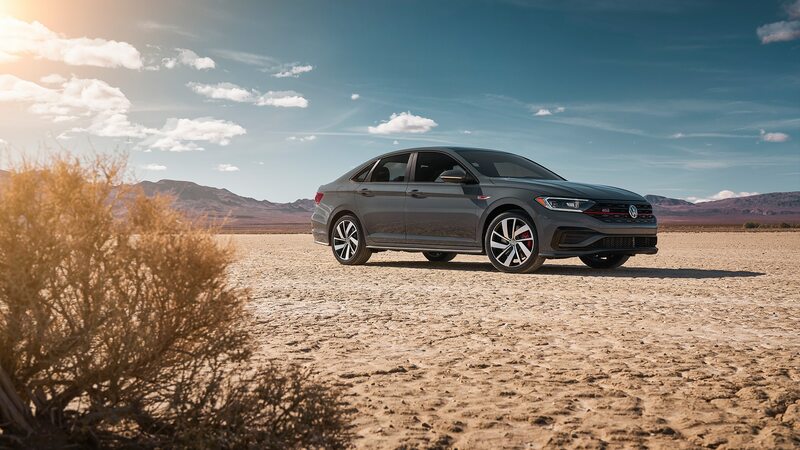 The latest iteration of Volkswagen’s Jetta GLI seems to be exactly what we were expecting—a return to being a GTI with a trunk—and that’s about as pleasant a nonsurprise as we could ask for. 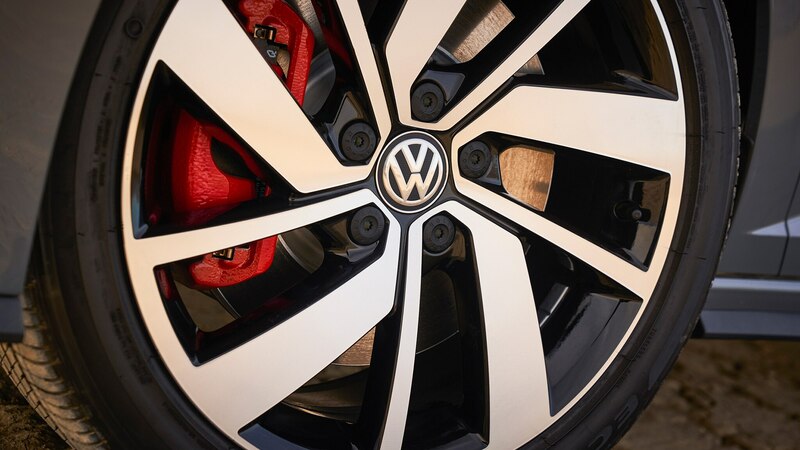 We’ll list the details, but hard-core VW aficionados can probably guess ’em on their own. 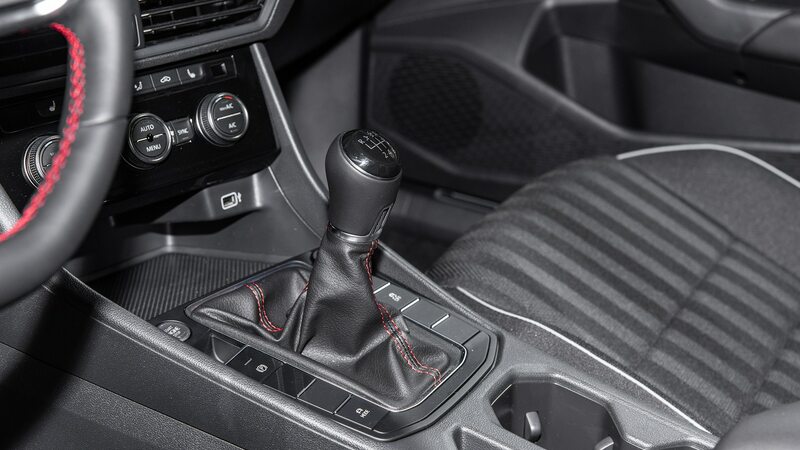 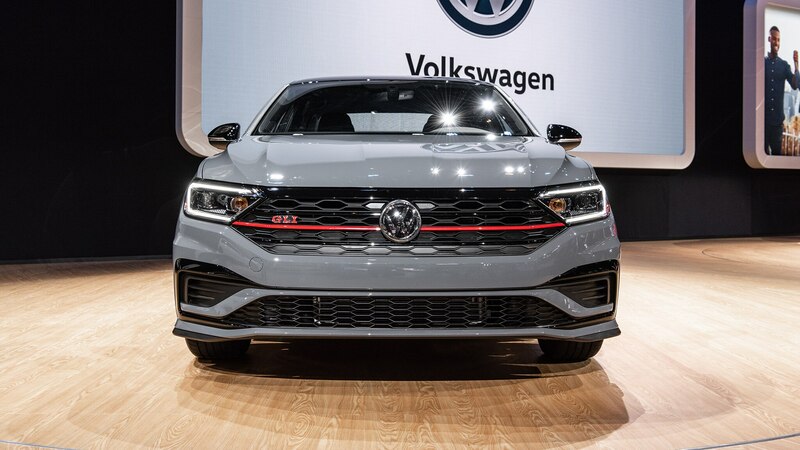 The turbocharged and direct-injected 2.0-liter EA288 four-cylinder delivers 228 horsepower and 258 lb-ft of torque on premium fuel (for those keeping track, that’s 18 hp and 41 lb-ft more than the previous-gen GLI) and drives the front wheels through a six-speed stick or a seven-speed DSG auto. 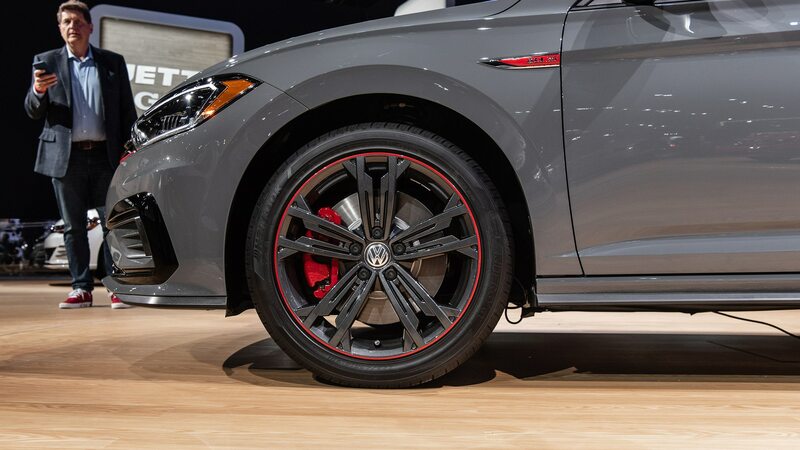 There’s a torque-sensing limited-slip diff and bigger brakes. 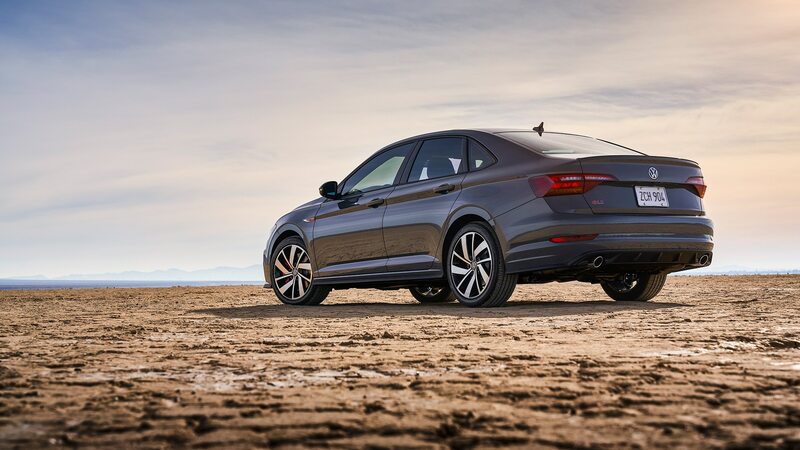 The suspension uses struts up front and a multilink independent rear setup in place of the regular Jetta’s torsion beam, and the GLI sits 0.6 inch lower than the standard Jetta. 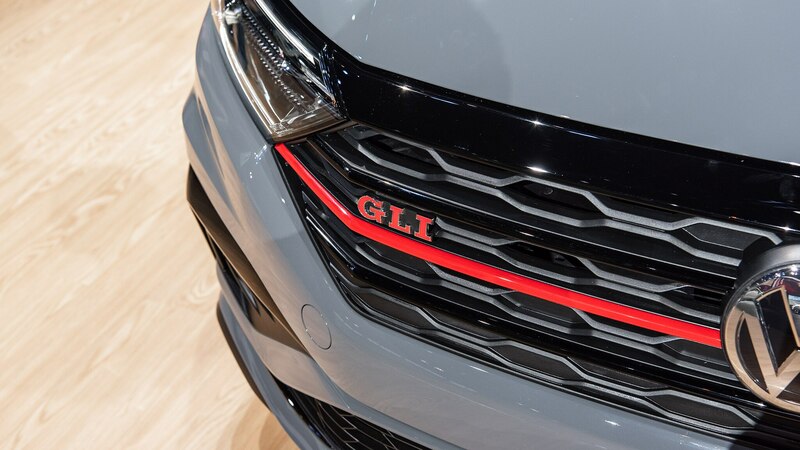 If all this sounds familiar, it should: It’s pretty much a carbon-copy of the GTI’s spec sheet. 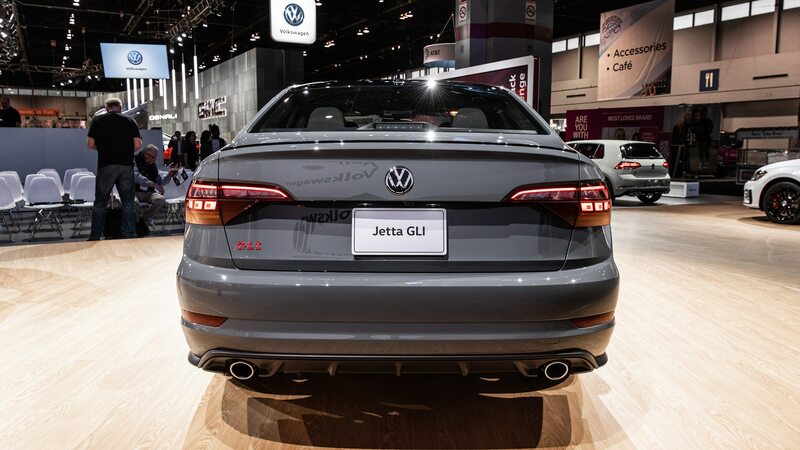 As expected, there are plenty of visual cues to differentiate the GLI from lesser Jettas. 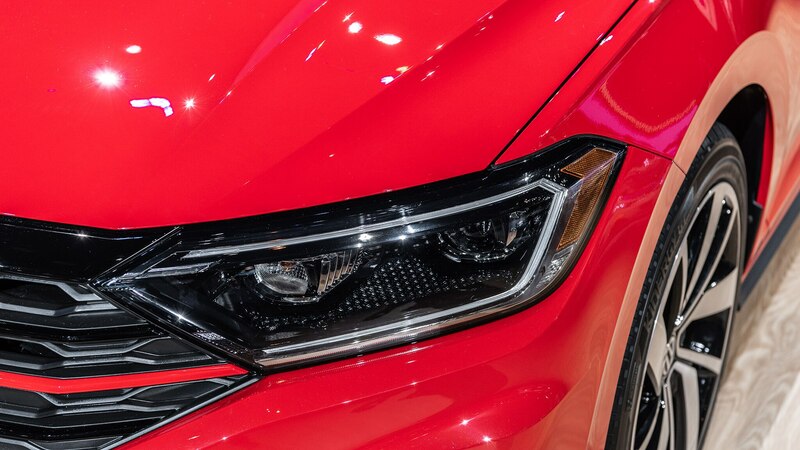 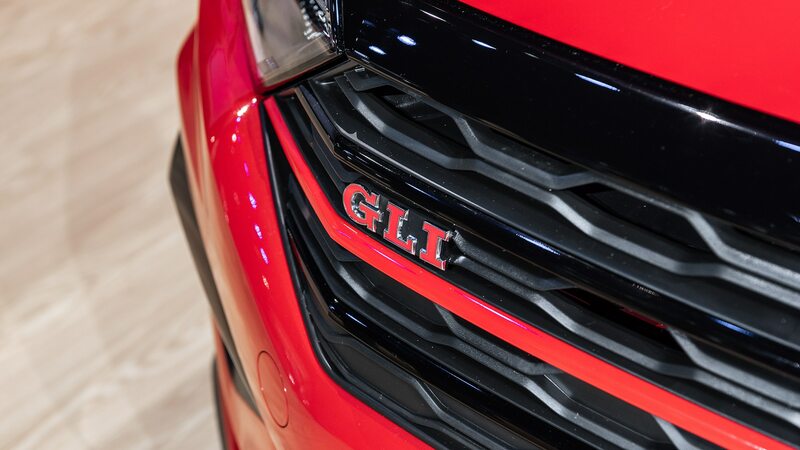 The blacked-out grille gets red trim, there’s a lip spoiler on the trunk, and the brake calipers are painted in red, as on the GTI. 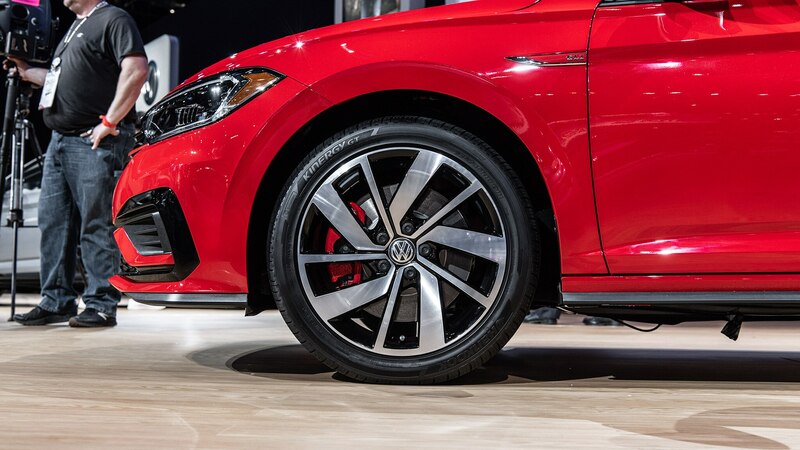 The 18-inch wheel design is unique to the hottest Jetta. 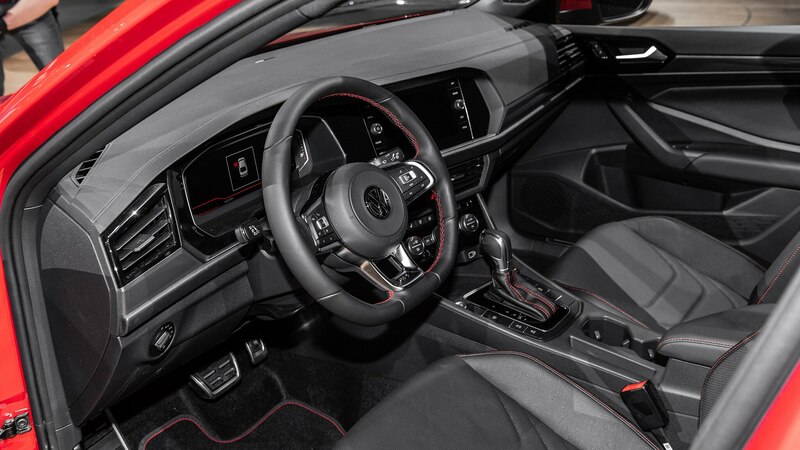 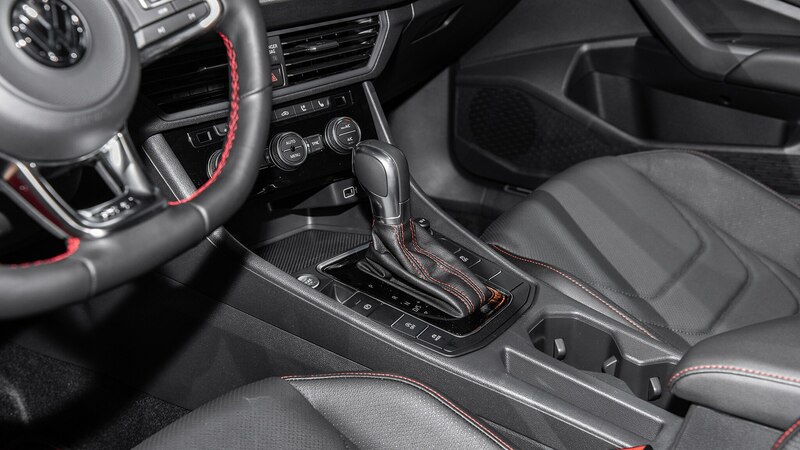 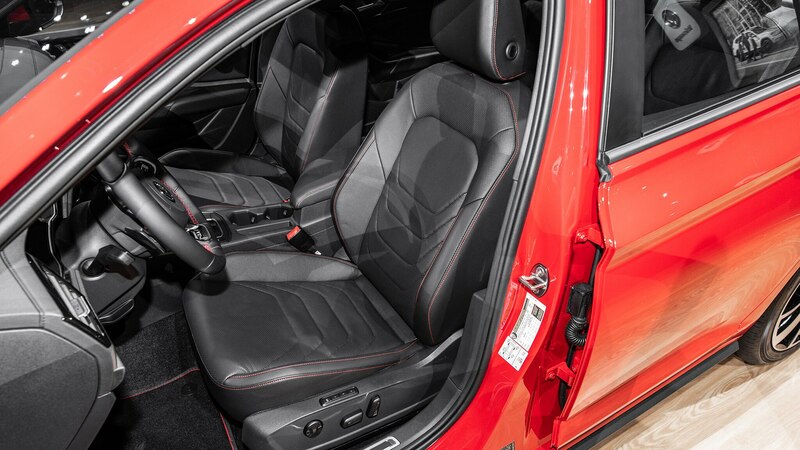 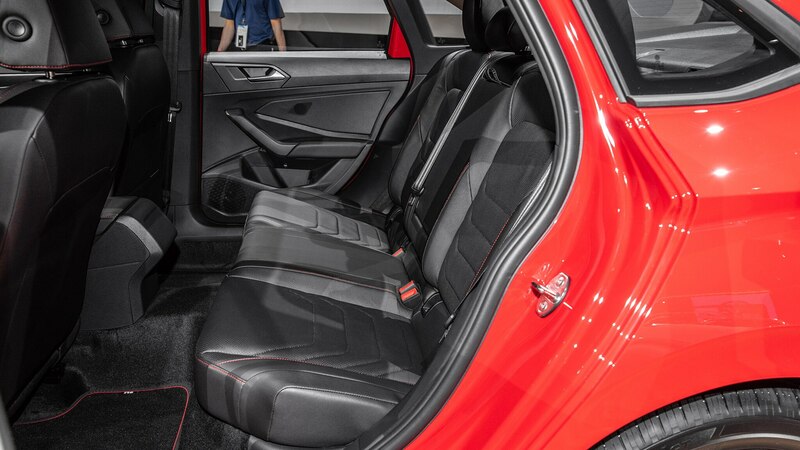 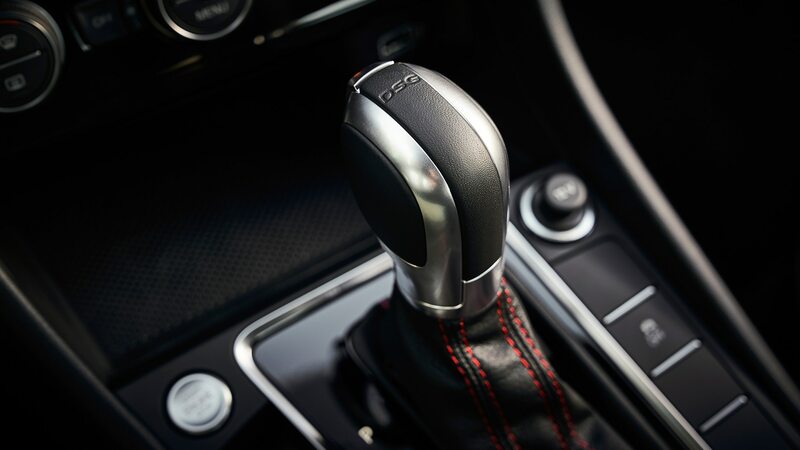 Red stitching and accents bring some color to the all-black interior. 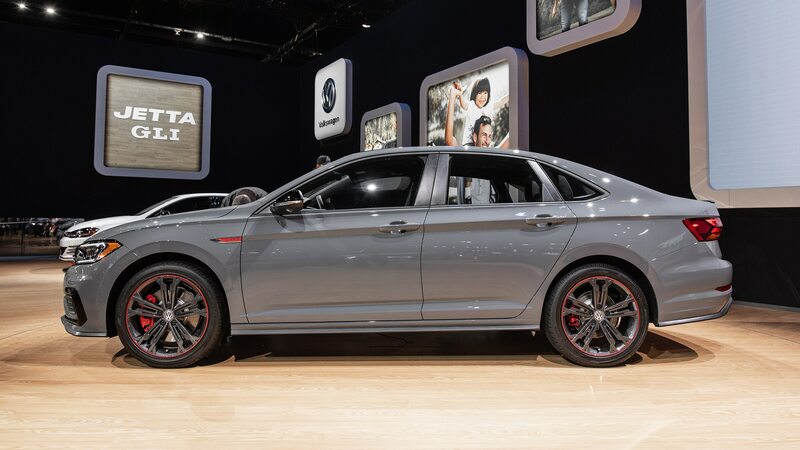 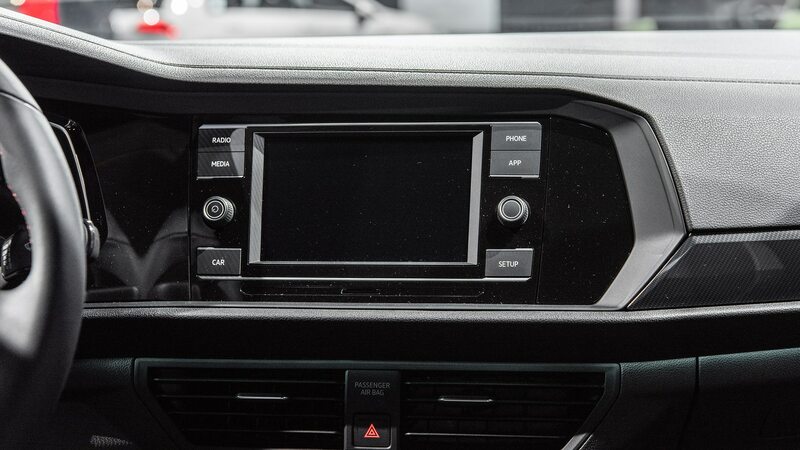 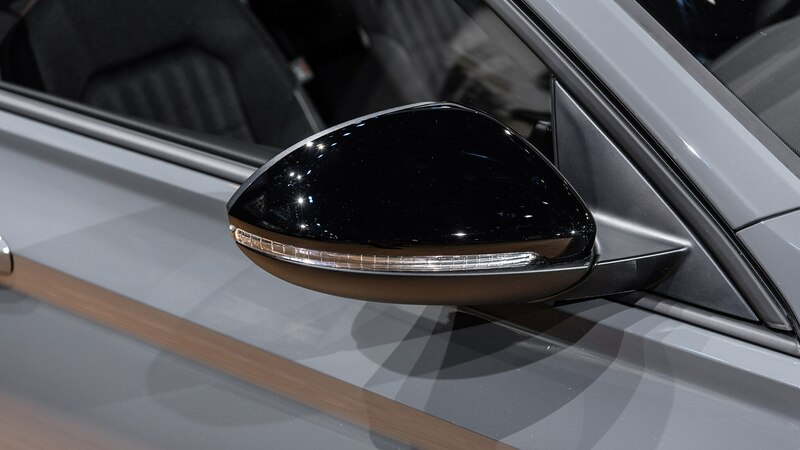 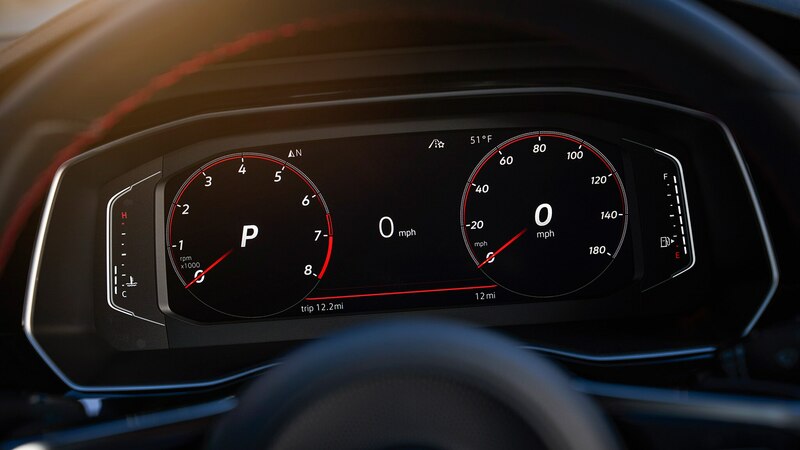 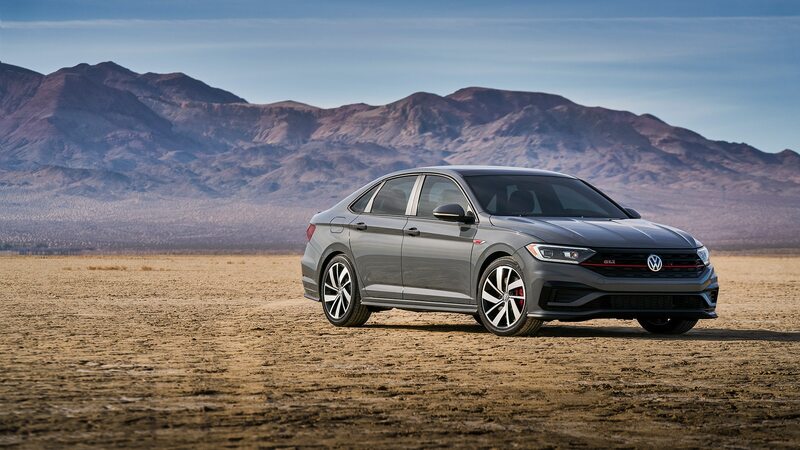 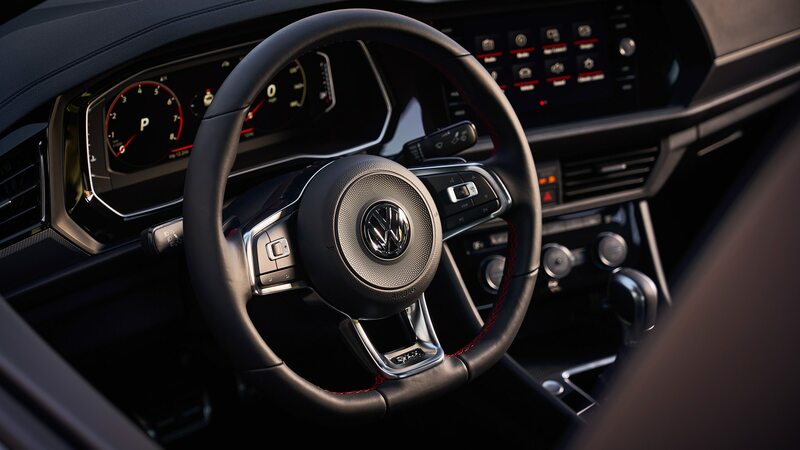 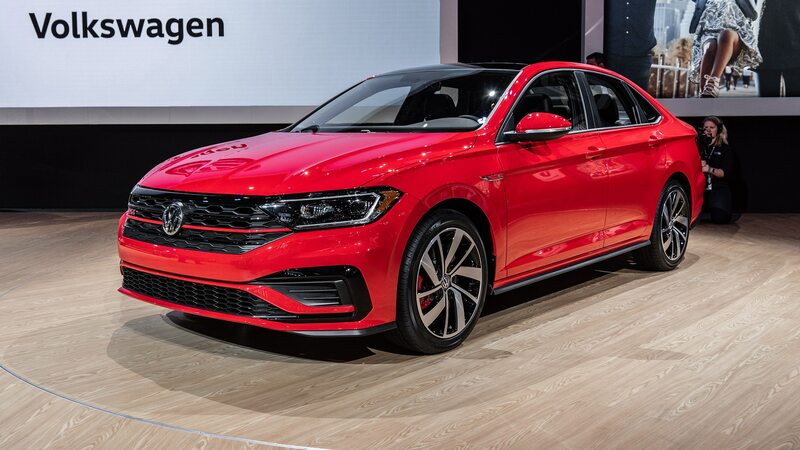 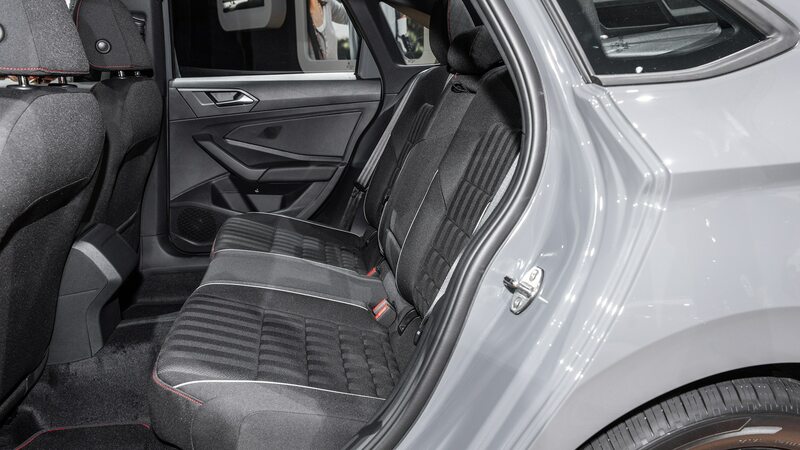 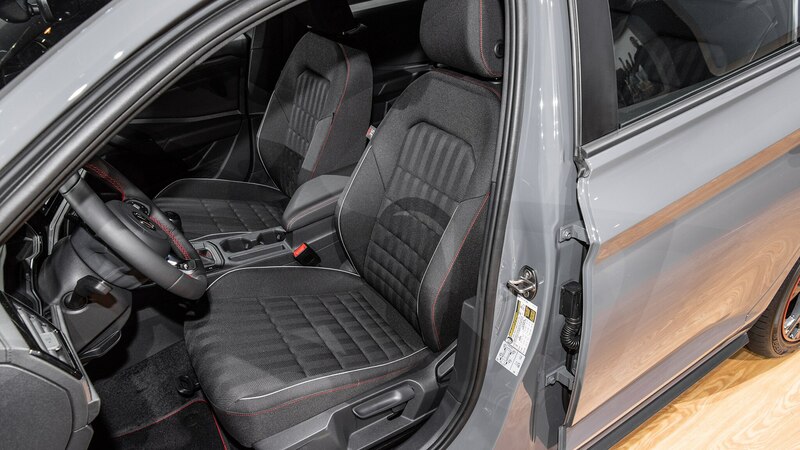 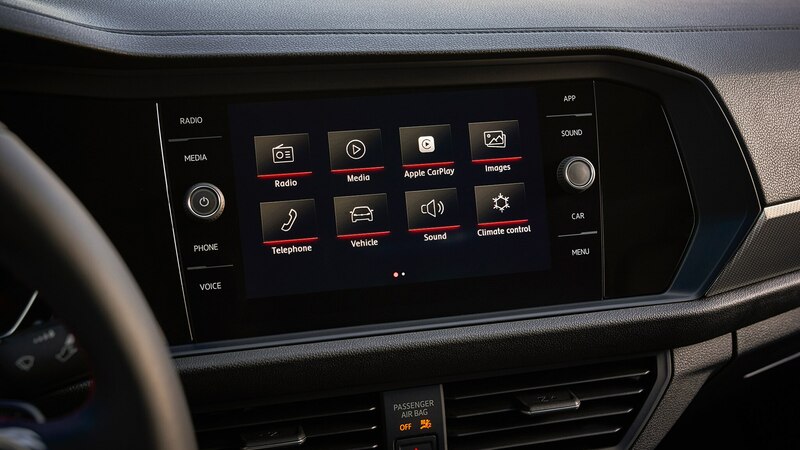 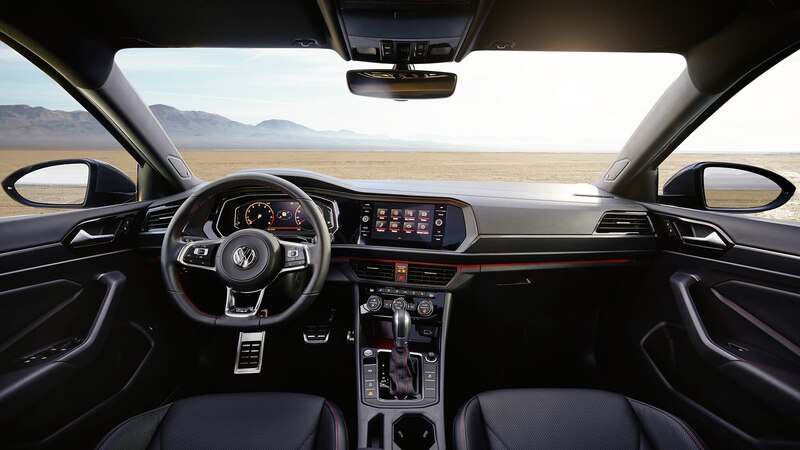 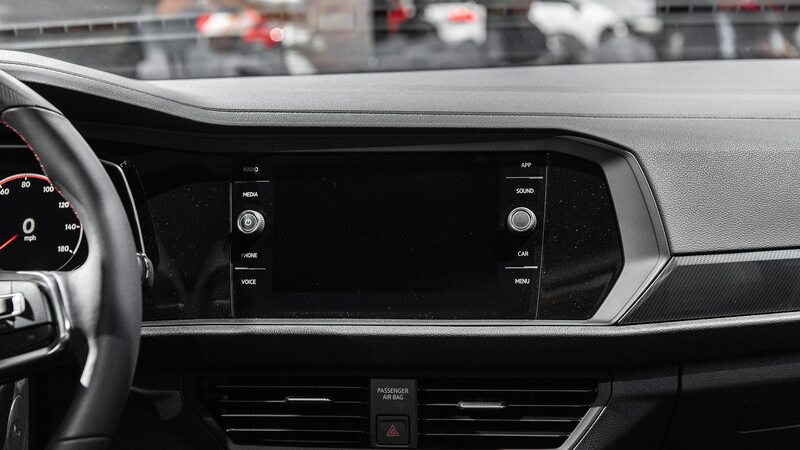 The options list will include many of the greatest hits from the Jetta 1.4T, including a panoramic sunroof, 10-color ambient lighting, a BeatsAudio sound system, and a digital instrument panel in place of traditional dials. 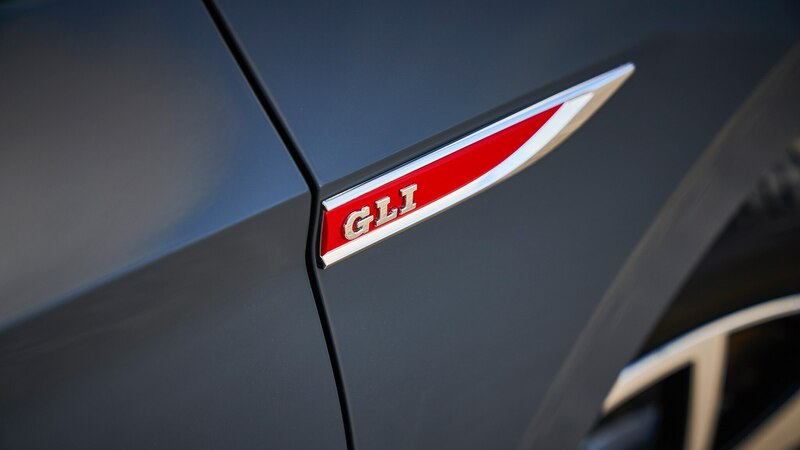 Obviously, the big discussion among VW heads will be GLI vs GTI, sedan versus hatchback. 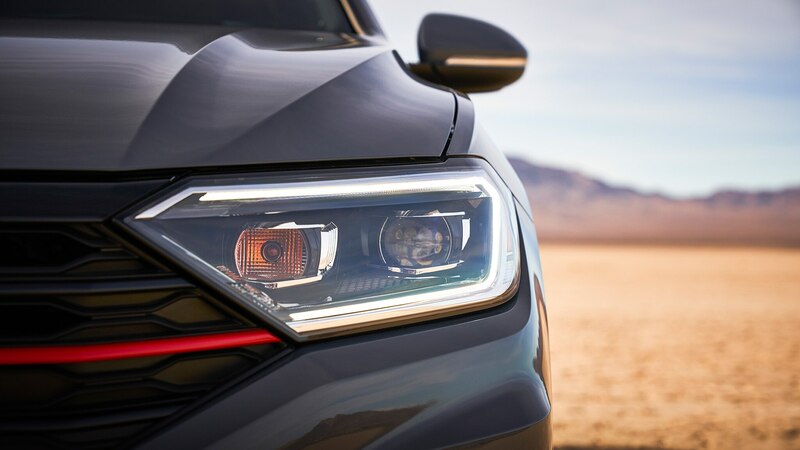 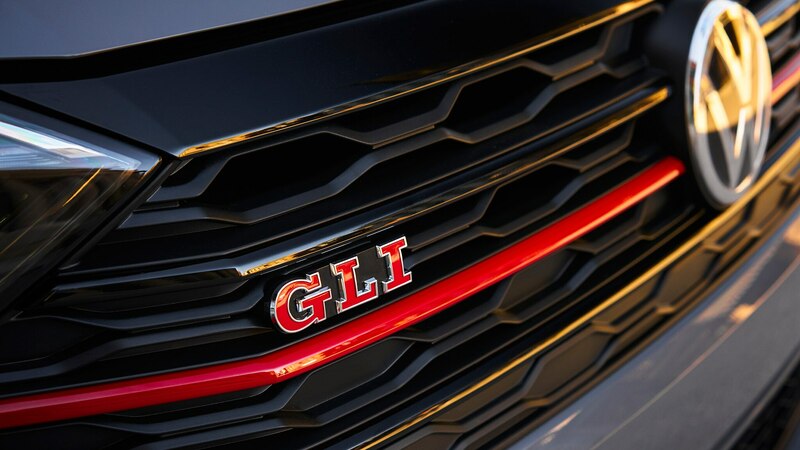 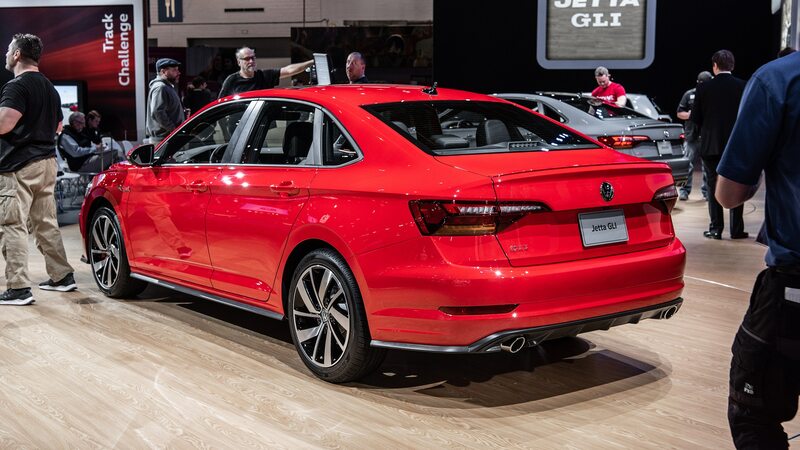 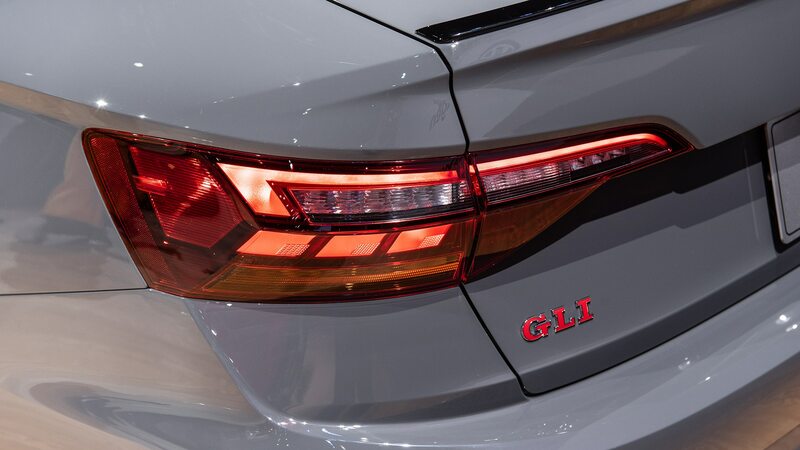 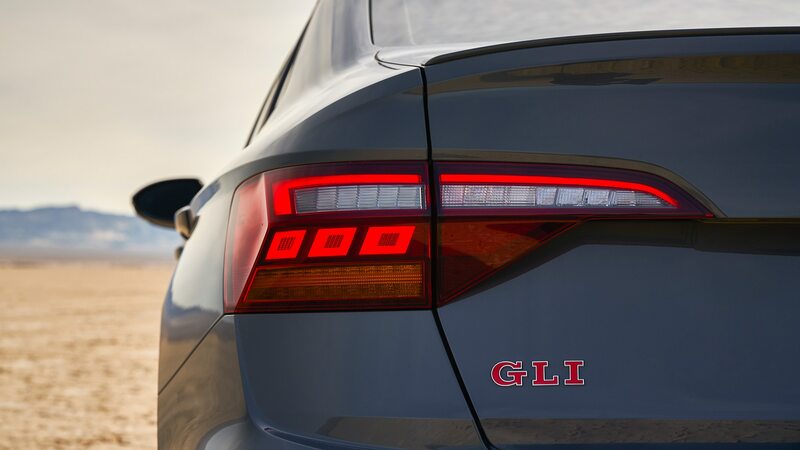 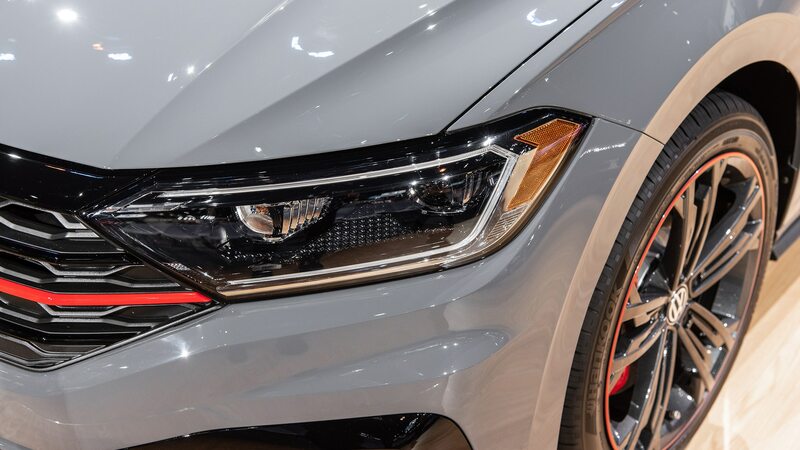 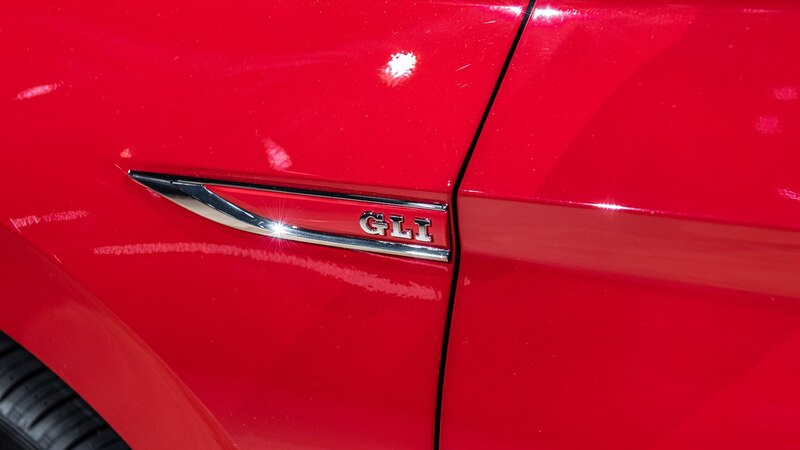 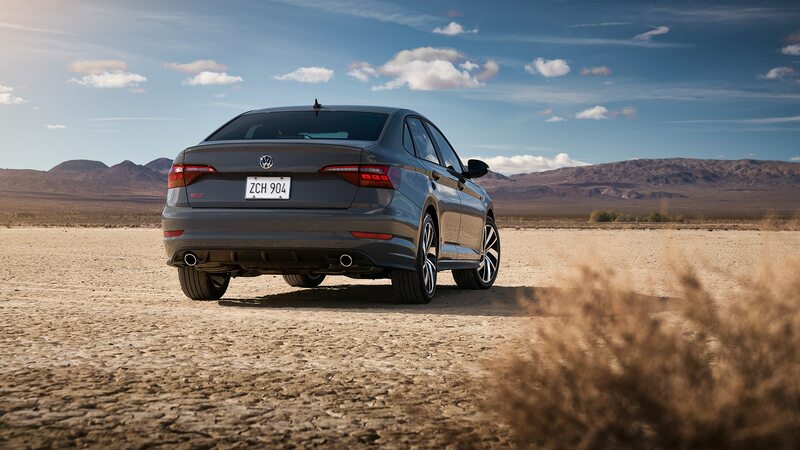 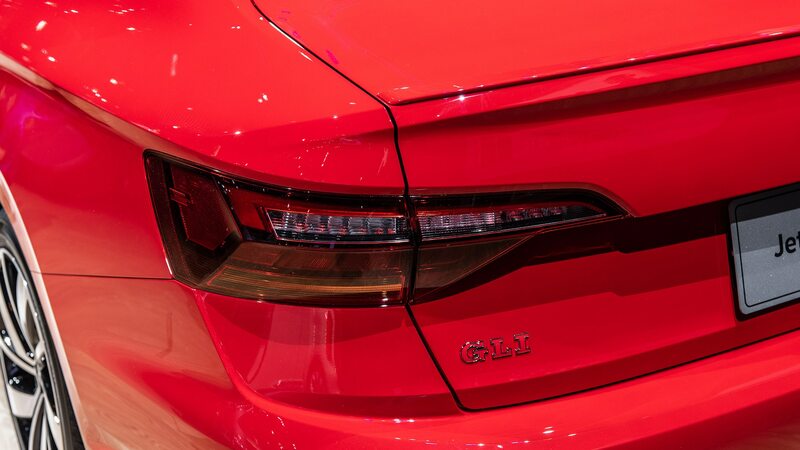 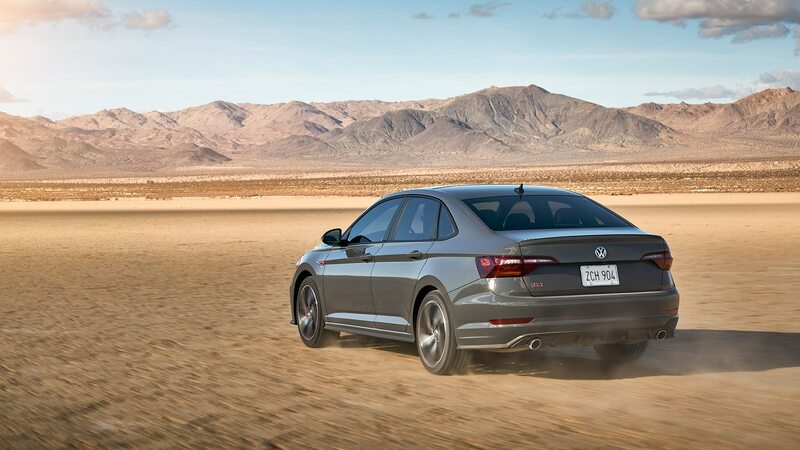 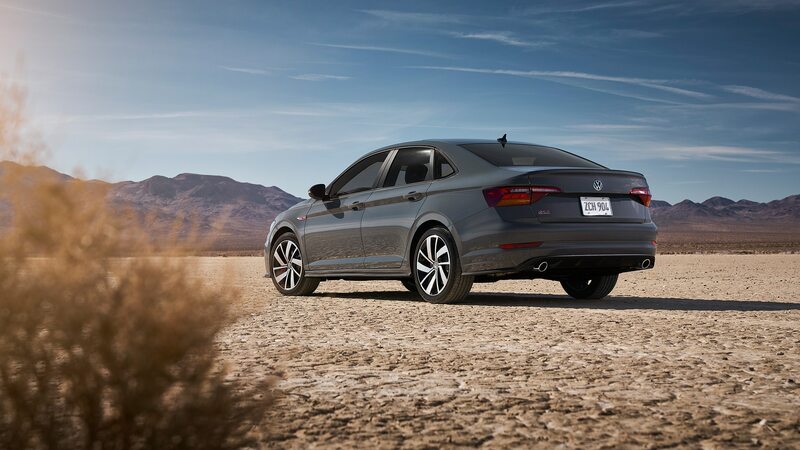 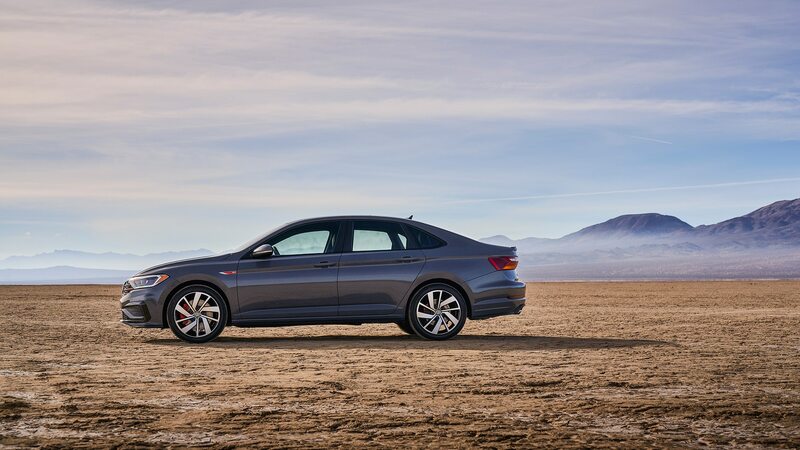 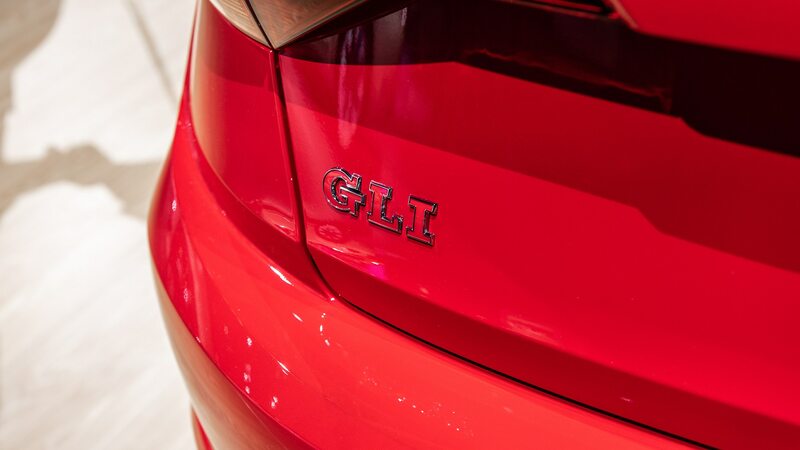 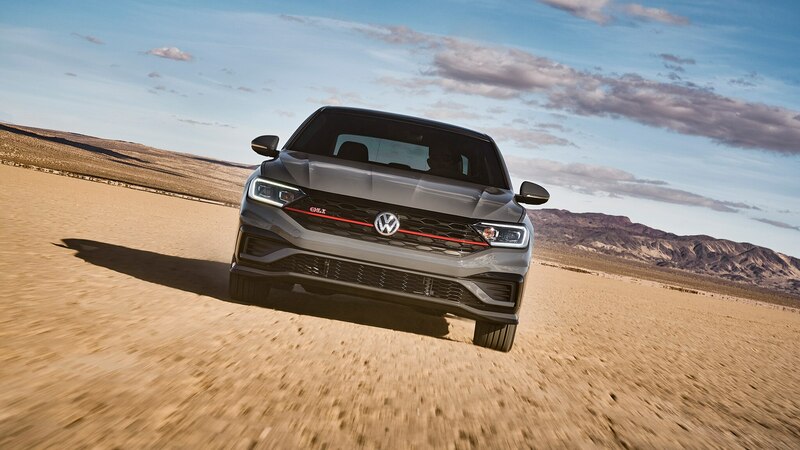 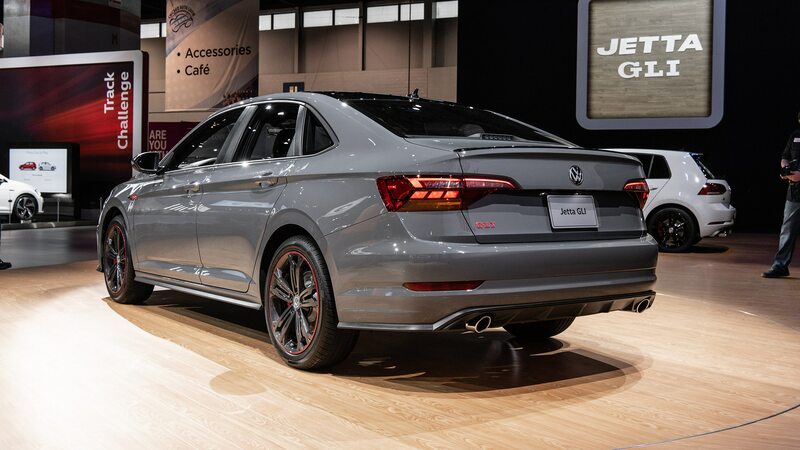 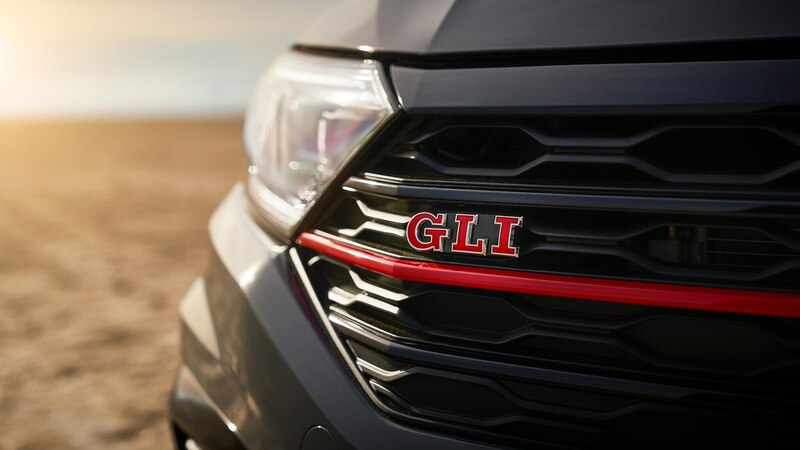 With the GLI’s larger size, you might expect weight to be the defining factor. 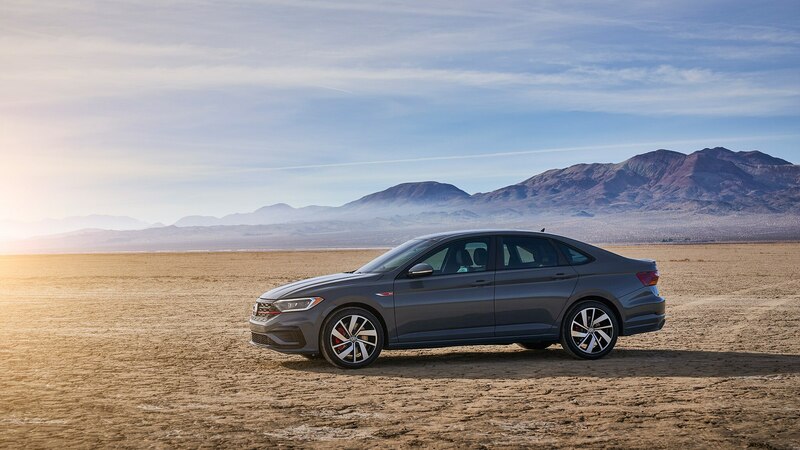 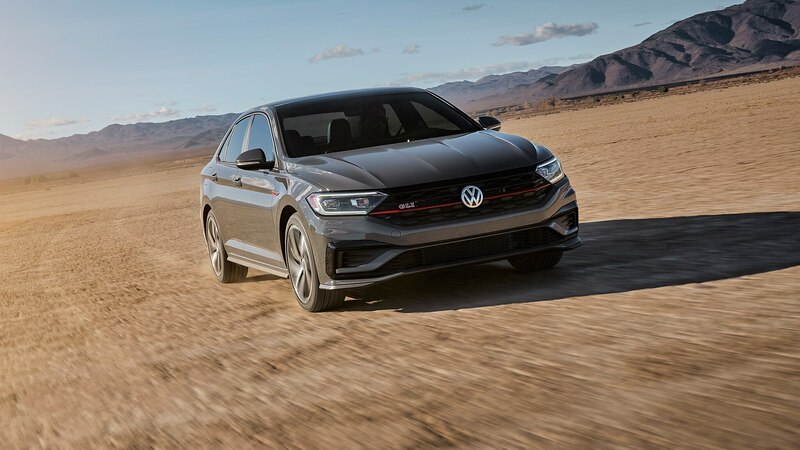 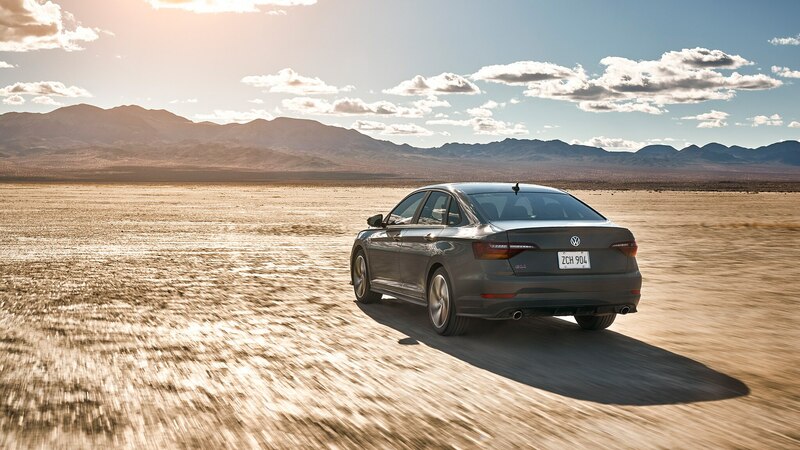 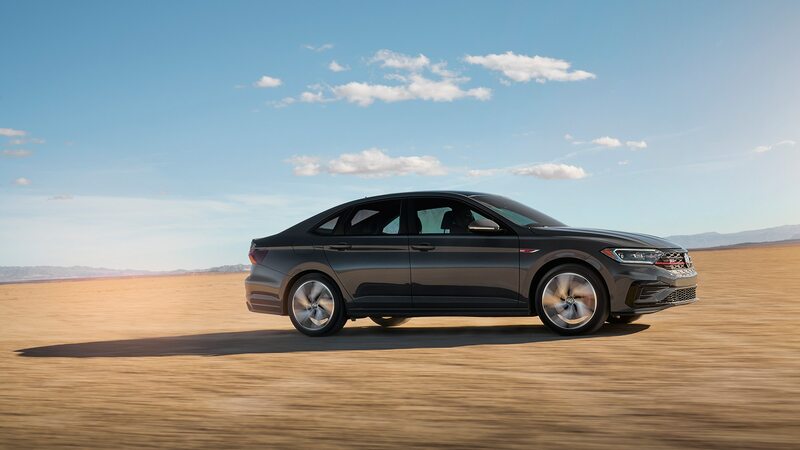 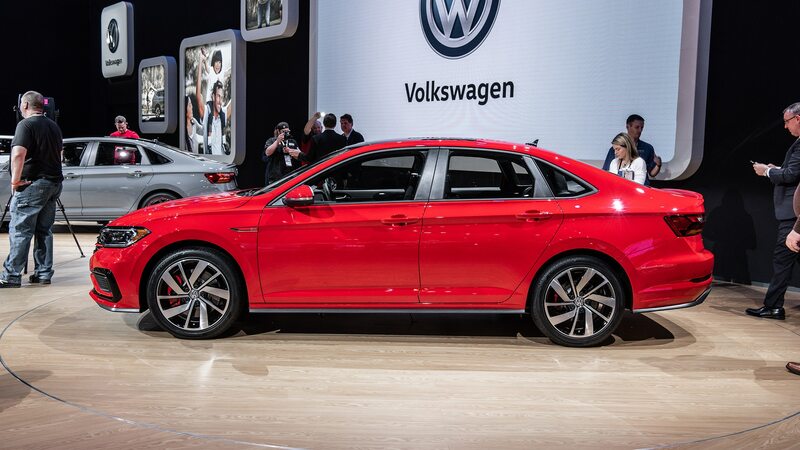 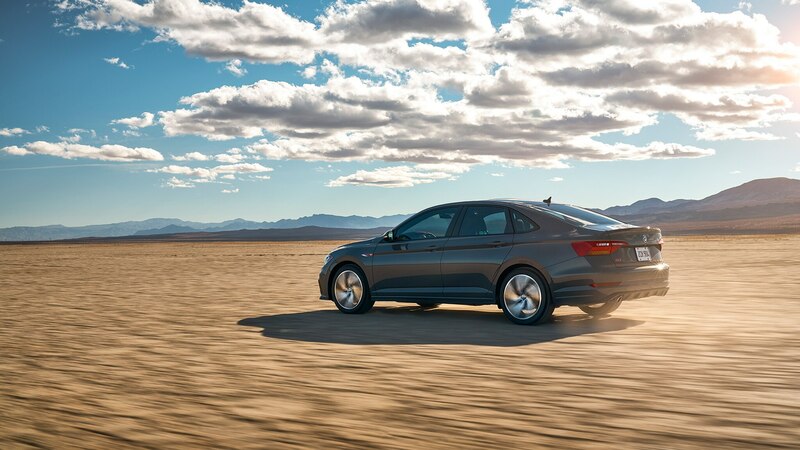 But while VW hasn’t published a curb weight for the new GLI, the regular Jetta outweighs the Golf by a mere 15 to 25 pounds depending on trim and transmission, and we don’t expect much difference between the sportiest versions, either. 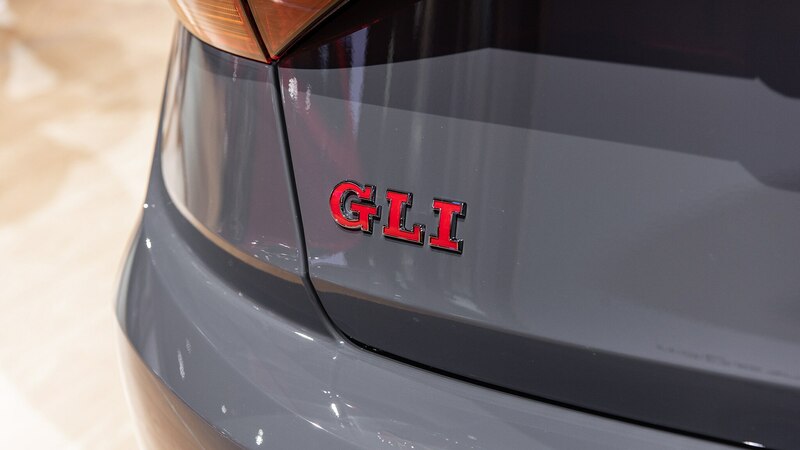 We’re hatchback fans ourselves, for whatever that’s worth. 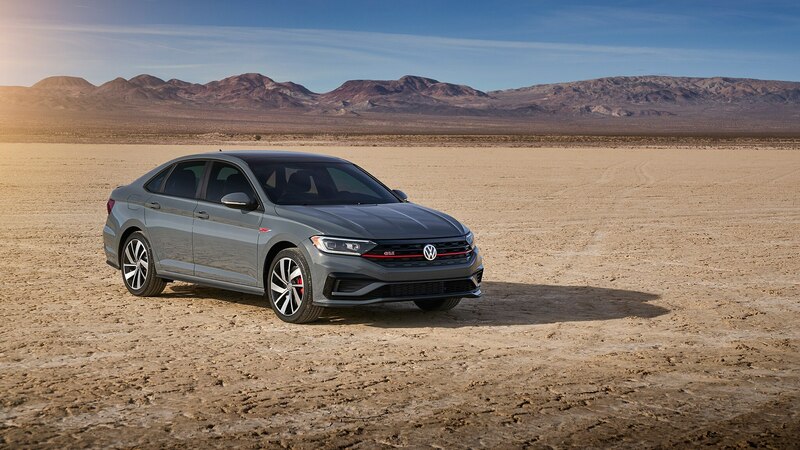 We found the previous-gen Jetta GLI to be a little too cushy and not as tossable as we’d have liked, and it lived its life in the long shadow cast by the excellent and well-rounded GTI, although it was still a massive improvement over the base-model Jetta. 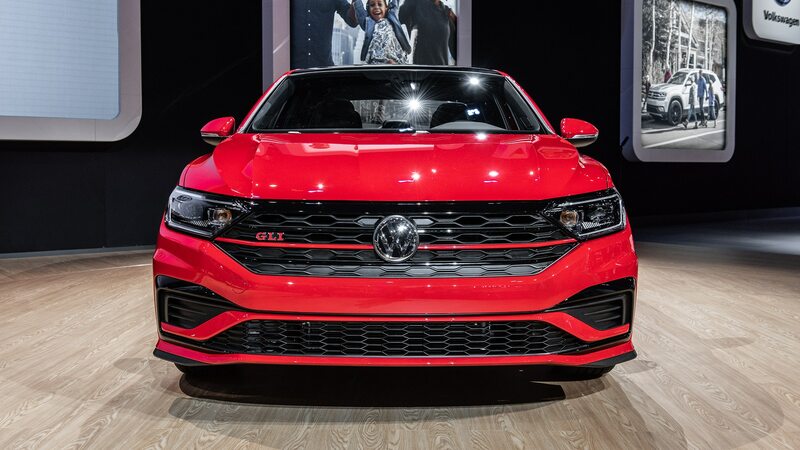 The latest, MQB-platform-based Jetta is a much better driving car (the Golf and GTI are also on the MQB architecture), so perhaps the new GLI will comport itself more in the manner of its hot-hatchback sibling. 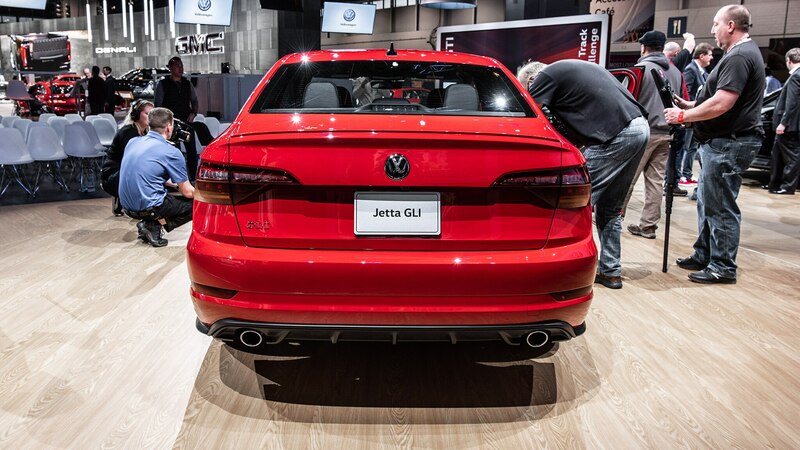 If it does, they’ll be able to hear us cheering in Wolfsburg.